Whenever I think about all of the wonderful benefits that meditation has bought my way, I’m so grateful that I started meditating. I feel absolutely lucky to have discovered the practice of meditation so early on in my life (I think I was 28 when I started meditating). I am forever and always discovering more and more reasons why I love to meditate. Every year, researchers are discovering new and varied reasons why meditation is so good for us. 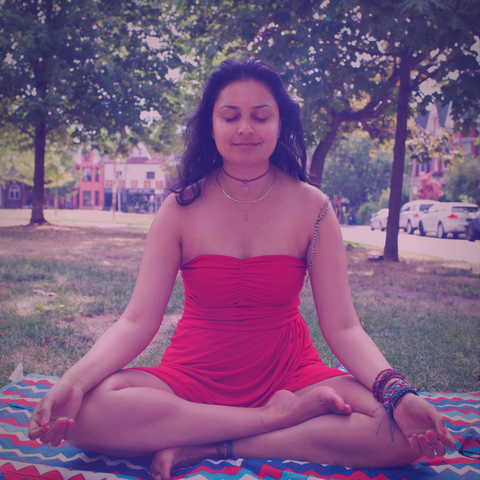 All of this to say, that meditation really matters as one of those cornerstone habits that can absolutely transform your life, your body, and your soul. But one of the primary benefits of meditation that has truly transformed my life has been the unmuddying aspect of it. I want to use this blog post as a chance to explain my thought on what is unmuddying, and how meditation helps with it. What Is Unmuddying Of The Mind? If you have done any kind of Buddhism or Zen training, or if you have gone to any sort of meditation training, unmuddying the mind is a big concept that is thrown about a lot. But I feel like no one really explains it well enough, because it is perhaps hard to explain something that can only be felt. It’s similar to how people say you need to fall in love to know what falling in love actually means. The same thing might apply here. But I am still going to try and explain what unmuddying looks like to me. When we are roaming about this world in a normal state of mind, without meditation’s help, then our mind probably looks like a hurricane has passed through it. That’s because every single moment of every day, except when we are asleep, our mind whirs nonstop with mostly useless, recurring, and random thoughts. Our mind never stops. It constantly keep rehashing the same concepts over and over again. What am I going to eat for dinner? What am I going to wear tomorrow? Does my boyfriend still love me? Am I getting fat? Do I need to find a new job? The patterns don’t change. Each person has their own pattern, and they keep on repeating this pattern as if they have no other thoughts to occupy their minds. Our minds are muddy, unclear, and out-of-focus. How Does Meditation Help Us Unmuddy The Mind? Meditation or any practice of mindfulness helps us unmuddy the mind by clearing out all of these useless recurring random thoughts. Instead of spending our time in the same hamster wheel of repeating thoughts, meditation stops that mad cycle in its tracks. Instead of rehashing the same thoughts over and over again, we stop travelling down the same neural pathways. We stop thinking even if it for a moment, and in that moment, there is space. In that moment, there is a momentary unmuddying of the mind. It is the same thing as a glass of muddy water. When you let the glass sit for a while, the mud settles down to the bottom, revealing the clear water. But if you keep on twirling the glass round and round, then the mud will never settle and the water will forever be muddy. When I meditate nowadays, I notice that temporary clearing up of the mud, so I can see clearly for a second. I used to think that if I had a problem, I should spend more and more and more time thinking about it. If I could overthink myself into a coma, I would be able to solve the problem. Now, I know that our minds are powerful tools, but only if used properly. If I wish to solve a problem, then instead of running in that hamster wheel of useless thoughts, I settle down, I chill out, I take a break, I meditate, and the answer just comes to me. It’s so simple, but most of us do not realize the power that we have at our fingertips, and in our meditation practice. Meditation is such a powerful unmuddying tool that I really don’t think I could live without my daily practice. It helps me concentrate on my tasks, it builds my focus, and most importantly, it helps me clear up my mind so I can see more clearly what my true path in this life is. Instead of being misled by all of the noise in my mind, I can clear up my mind, and see where my truth lies. And that has been a blessing for me.